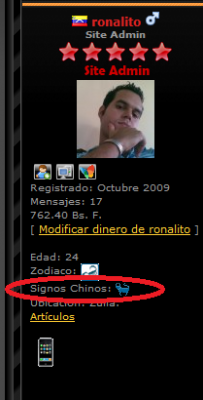 If the user have filled a birthday date, a chinese zodiac image will be displayed in the users profile. A running IcyPhoenix (recommend the lastest version). Before adding this MOD to your Forum, You should back up all Files related to this MOD. Description: If the user have filled a birthday date, a chinese zodiac image will be displayed in the users profile.